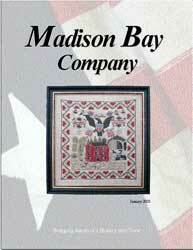 Madison Bay Company is a wholesaler to the trade only. That means we don’t sell directly to the public, but to the stores and businesses that carry our distinctive line of gifts. We sell to antique shops, catalogs, national parks, theme parks, gift shops and framing galleries all across the USA. If you are a retailer or other business and you already carry our products, click on the button above to login.